If you decided to binge on your favourite Netflix Originals series or movie last weekend, you might have seen the streaming service's new animated logo in action. 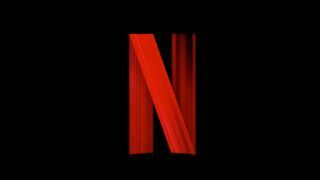 Created by Netflix's in-house design team in collaboration with an unnamed independent creative agency, the new animated logo sees the familiar 'N' ribbon icon appearing on a black background before rushing towards the viewer in a flurry of neon bands. This brief but effective piece of branding was two years in the making. By ditching the old white background in favour of a black one, Netflix wants to create the sense of depth and atmosphere you feel in a cinema when the lights dim and the film is about to start. For a service that likes to usher you onto the next piece of content while the credits are still rolling on what you've just watched, the Netflix animation is a welcome pause that gives its own content a sense of importance. It's also the first big change to the Netflix logo design in five years, and signals its intent to stand out as a production company in its own right, rather than just relying on its position as a streaming platform. On its official blog, Netflix says that the new ident animation "reflects the diversity and variety of our content. Our favourite part is when the Netflix symbol breaks out into an array of colours – which is inspired by the spectrum of stories, emotions, languages, fans and creators that collectively make up who we are as a brand." This inspiration sees thumbnails from Netflix titles collapsing like record covers, which then rush out of the screen in vibrant colours. Check it out in action below. The new animated icon is currently running before new Netflix Originals series and films, and will be added to all its original titles retroactively as the year goes on.